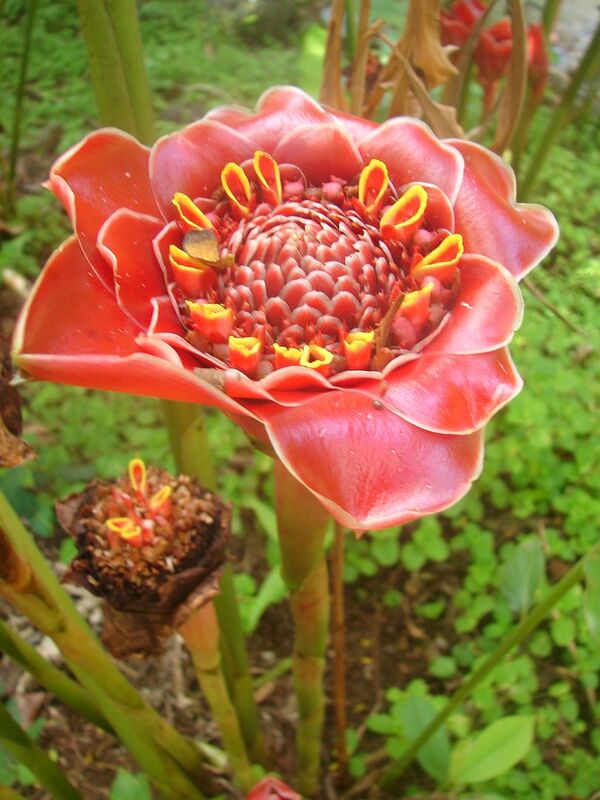 Helani Tulip Torch Ginger is a slightly smaller plant than the traditional Red Torch Ginger (E eliator). Torch gingers are also known as ‘Wax flowers’ or ‘Porcelain flowers’ and have incredibly striking inflorescences. 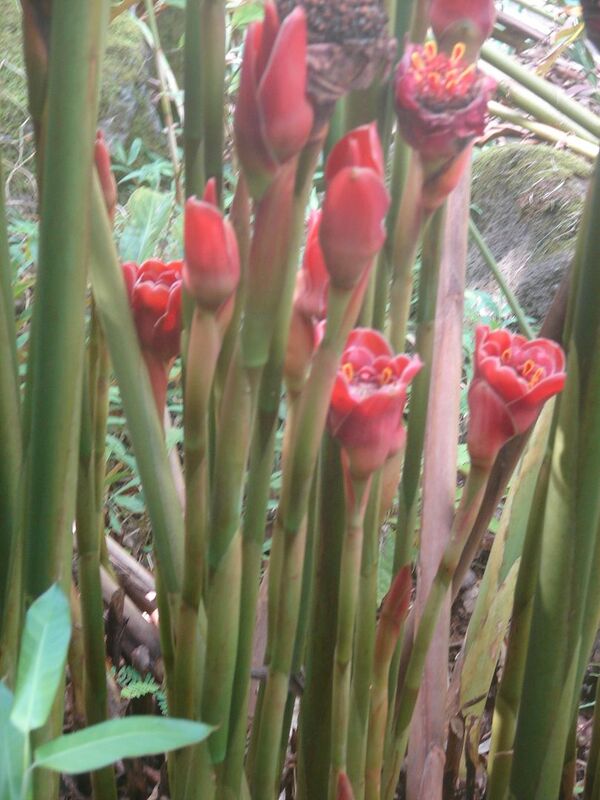 Helani Tulip is a newer variety of the torch gingers. The flowers look more 'tulip' like than the other 'Torch Gingers' and look less cupped when fully opened. 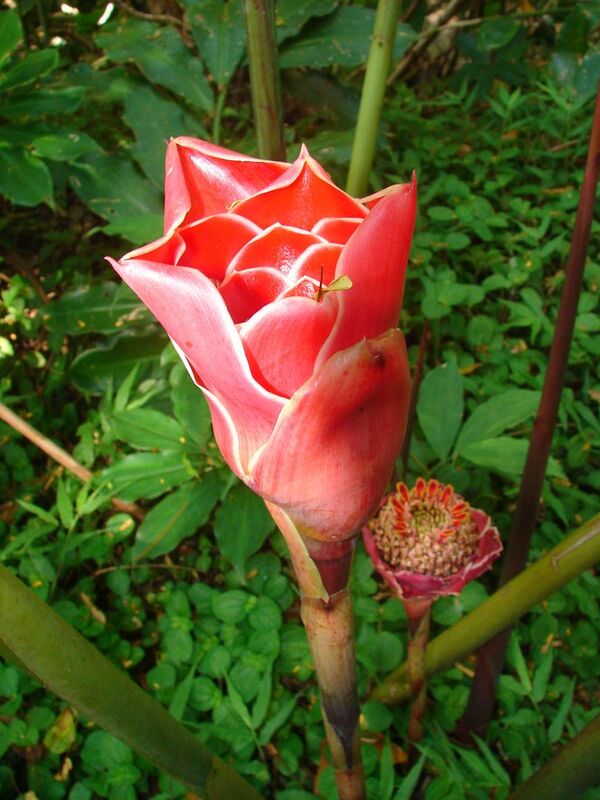 The unusual inflorescences are a dark pink to red, dotted with neon yellow highlights in the center. 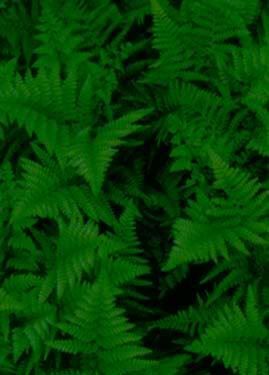 This plant grows to a height of 8 to 12 feet in full sun to partial shade. The leaves are glossy green above and maroon beneath. 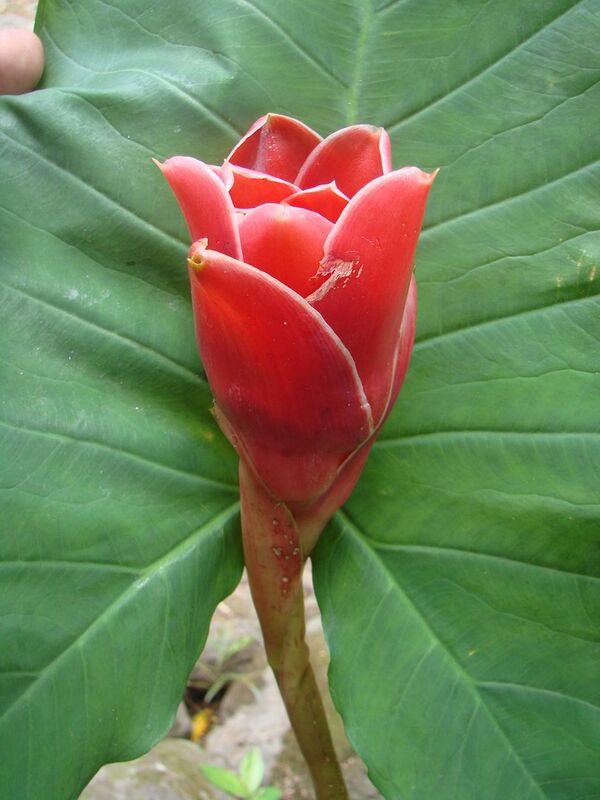 Stems also have a maroon coloring which adds to the ornamental beauty of this ginger. 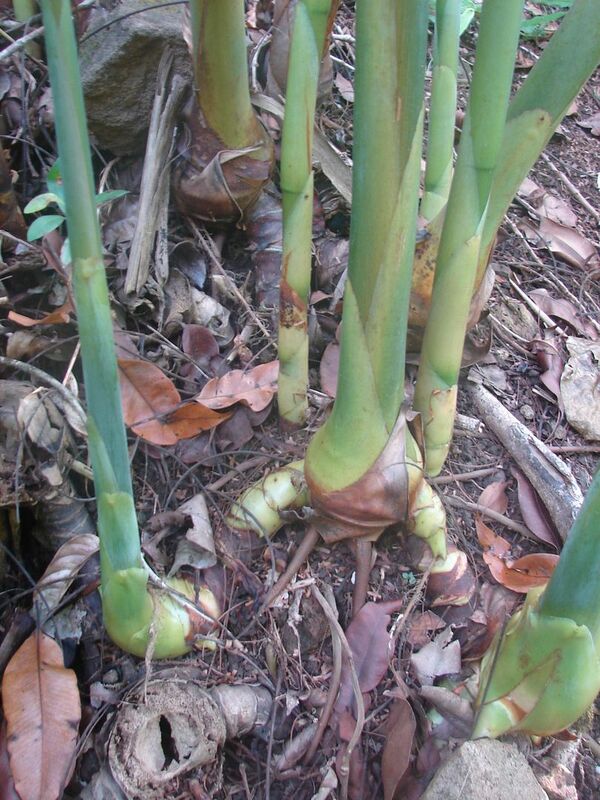 The waxy flowers are produced separately on basal stalks 2 to 4 feet high. The flower is as much as 20cm tall by 15cm wide. 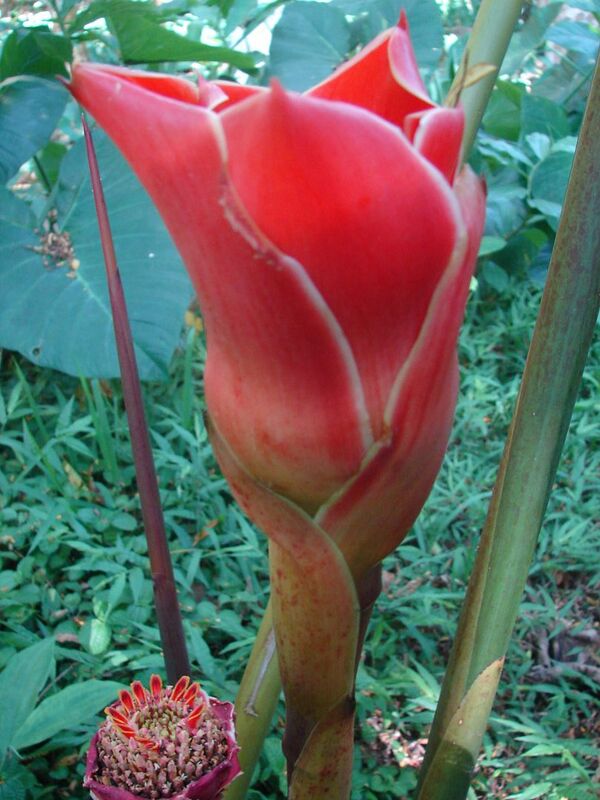 Excellent as cut flowers, Helani Tulip requires two years of growth in humid warm climate for its profuse flowering. 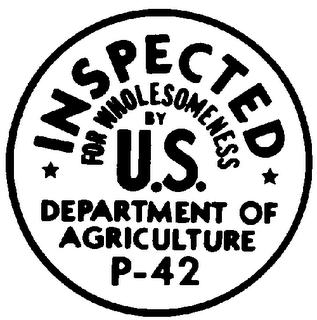 Best grown in full sun or light shade and should be planted in rich soil. Mass planted in a bed with cordylines and heliconia, Helani Tulip Torch looks fantastic as a landscaping plant. A beautiful compact plant with attractive foliage producing tulip-shaped deep maroon flowers on basal stems. 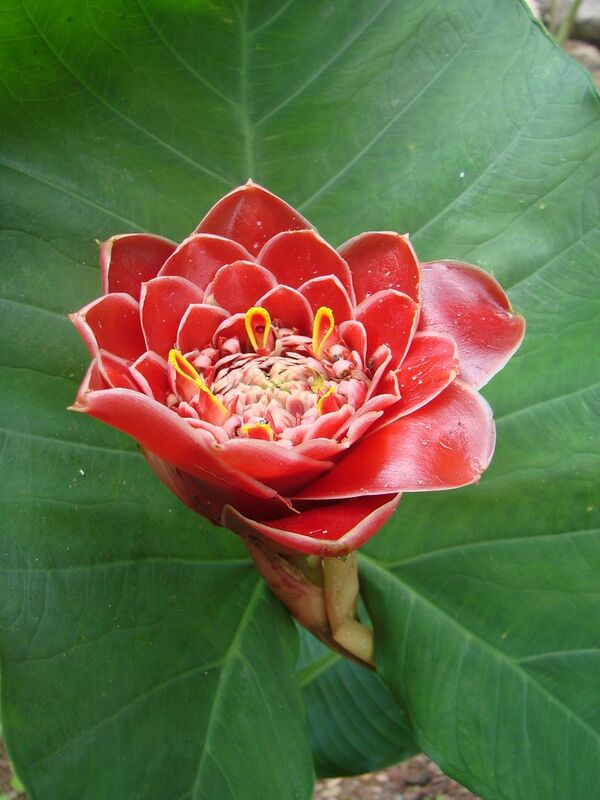 Helani Tulip Torch Ginger requires a sheltered position and prefers rich, moist soil and regular fertilizing. Fantastic dark green leaves with purple undersides.